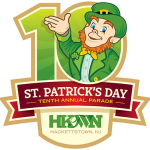 The Hackettstown Business Improvement District is honored to present Mr. James Travis as the 2019 Grand Marshal of the St Patrick’s Day Parade. Jim’s Biography and connections with his homeland will follow shortly. Join us in honoring our 2019 St. Patrick's Day Parade Grand Marshal, James "Jim" Travis. David's Country Inn - 314 Main St., Hackettstown. 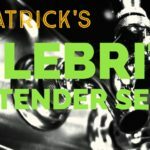 Thursday, March 7 from 6:30 PM - 9:30 PM. 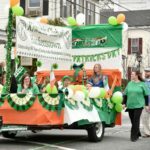 The Hackettstown Business Improvement District kicks off Parade weekend with a Grand Marshal Reception to honor 2019 St. Patrick’s Parade Grand Marshal, James "Jim" Travis.